Tolkien metal is actually a thing. For those that haven’t come across it prior to now, it’s a subgenre of black metal that’s supposedly more atmospheric and ambient with lyrics entirely based around Tolkien’s works. 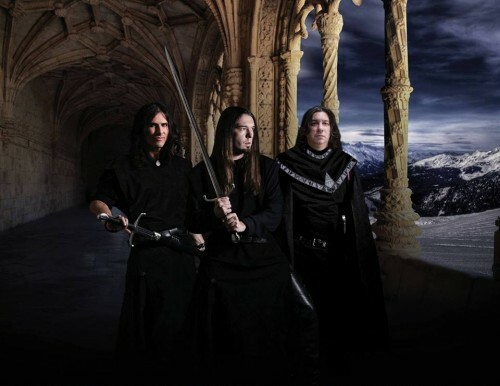 Summoning are the forerunners of the genre, but it looks like they have a little competition in the shape of Serbian band Númenor. Sometimes you come across an album that’s just so beautifully packaged that you need to hear what’s at the very heart of it. Colossal Darkness (Númenor‘s debut full length) hit me in just that way. “Opus Draconis” made an entrance that I can only describe as enchanting and by the time “The Eternal Champion” galloped in followed by the charge of “The Hour of the Dragon” I was shamelessly hooked. 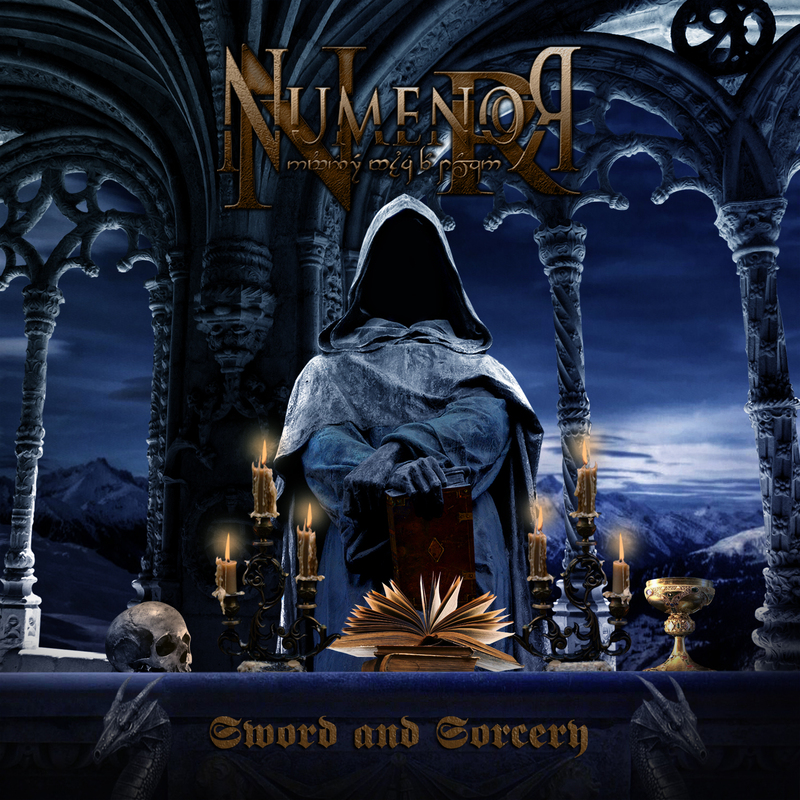 From start to finish, there’s not a misstep as Númenor skillfully blends their quirky symphonies with black metal and larger-than-life power metal anthems. There’s a lot happening and it’s nothing short of delightful. After being so enamoured by Colossal Darkness, I’m left wondering whether Númenor can recreate the magic in Sword & Sorcery. The answer is mostly yes and with a hint of no. As a whole Sword & Sorcery continues on with what Númenor started in Colossal Darkness. Sword & Sorcery begins with a big-sounding introduction similar in direction to Frosttide‘s “Winter’s Call” – it’s doused in atmosphere and escalates quickly, drawing you into the unfolding story. As the “Intro” concludes you’re rushed speedily into “Dragonheart” which hits you with the theatre of Luca Turilli’s Rhapsody (Ascending to Infinity) the speedy battle against time of Wintersun, the deathy rasps of Kalmah and the blackened heart of Carach Angren. The range of vocal styles makes the track a treat, from Andjela Isic who plays the sweet-sounding beauty to Despot Marko Miranović’s gruff blackened beast, contrasted by Željko Jovanović’s theatrical cleans, there’s more than a little of everything here and it all effortlessly combines. Some might say the theatrics and narration are cheaply tossed about, dripping with too much accent, but they’d be wrong. The remainder of the album, barring “Prelude I” and ‘Prelude II” continues on in the same fashion as “Dragonheart.” They’re packed with Srđan ‘Sirius’ Branković’s bombastic and melodic guitar riffs, quirky and made-for-the-stage Magnus Karlsson sized guitar solos reeking of dexterity wrapped in Mladen Gošić and Bálint Kemény’s pretty sounding keyboard orchestrations. The songs, despite having so much going on within them, move quickly and don’t overstay their welcome. In addition, they have the accessibility and fist-pumping easy-listening attitude of a hard rock anthem, so much so that they quickly become earworms. Don’t be the least bit surprised if you’re sitting at your desk and burst out in song, piping “The age of darkness and fire and ice, signs and omens shine so bright, the prince with silver hand came from the light” at the top of your lungs – that was just “the Prince in the Scarlet Robe” running fleetingly through your mind and “The Oath of Feanor” won’t be far behind. Where Sword & Sorcery becomes disjointed in in the inclusion of “Prelude I” and “Prelude II” and their associated breaks between tracks. Let me start by saying that on their own, neither of these preludes are bad – in fact it’s quite the opposite, they’re beautiful. But, as they’re positioned, they break the momentum achieved by the triumphal moments preceding them. It’s tough to say they’re necessary and at best, they should have been shortened and recorded as the introductions to “The Prince and the Scarlet Robe” and “Bane of Durin” respectively. Neither “The Prince…” nor “Bane…” come across as excessively long tracks without them and probably wouldn’t have seemed much longer with an additional minute or so prettiness tacked on.